Buddhist Sangha of Bucks County | Join us Every Monday 7pm for Meditation and Discussion 65 N Main Street in Yardley PA.
Join us for meditation every Monday from 7pm-8pm and Dharma Discussion 8pm-9pm at 65 North Main Street in Yardley, PA (Yardley Friends Meeting) – All are welcome! Learn more about us and contact us if you have any questions! First Time Visitor? Check out this page for more info. Click here for information and contributions by our members as well as various announcements and event info. If you prefer social media, find us on Facebook, Tweet us or follow us on Pinterest – and if you prefer email, subscribe to our newsletter for the latest updates which we usually send every week. After the meditation: many stay for hot tea and snacks followed by a dharma discussion from 8:15-9pm on many topics in various Buddhist traditions. Everyone is welcome to participate in the discussions. We usually see 30-45 people each Monday night. First Monday of every month Basic meditation instruction and questions about the Sangha are answered these nights for the first 20 minutes of the service. All welcome! Note: Meditation instruction for the first 20 minutes is offered to anyone interested. It’s a great opportunity to bring others to get a quick intro to meditation and to experience group meditation and service. Please let us know before you arrive or come a little early so we can pair you up with someone to guide you. If you can’t attend our group meditation, you can find a group that practices sitting Meditation near you. Volunteer @ sangha- Our Monday night program would not be possible without the work of our volunteers. We need help with setup, cleanup, delivery of donations to the local food pantry and more. Please volunteer for setup, & to lead service ( follow this easy guide if you need help with signing up ) or ask any of the board members any time if you are interested in helping out. 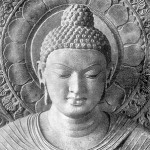 You do not need to be a member of the Sangha to join us in any of our events. However, a free membership is available to help deepen your commitment to meditation and the Sangha, as well as to have voting privileges in yearly elections, and more. Ask on a Monday evening for a membership form or see it online. The Sangha offers our weekly meetings, programs, and retreats through the volunteer efforts of members and the Board. We rely on your weekly donations (dana) to pay the rent and provide various programs. Our teachers receive no payment for their instruction, however in the tradition of dana (generosity) they are supported solely by your voluntary donations. May your generosity be a spontaneous expression of gratitude. We have a donation box on the lobby table with the order of service booklets. Your donations are tax deductible and we can provide tax receipts on request. The Buddhist Sangha of Bucks County is fortunate to have teachers visit us from time to time and share the dharma with us. Click to see a page is dedicated to sharing information about them.